Dinosaurs and imaginations come to life in this Jurassic themed fun packed adventure. Suitable for all ages from 4 to 94. We’ve worked hard to ensure we can tailor a package to suit your group’s needs, whether you want to inspire creative writing, bring history lessons to life or create meaning with our Mega Maths score cards. 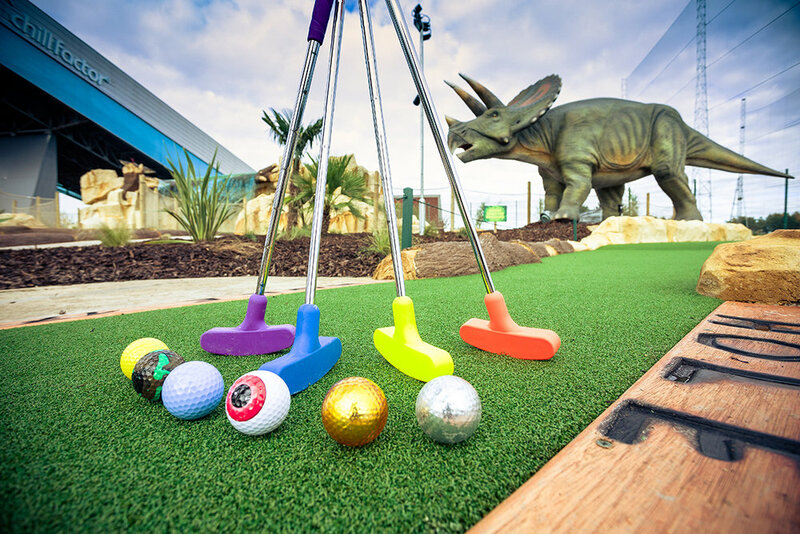 Play 18 holes of Jurassic Themed Adventure Golf. All equipment is provided. Ideal for school groups focused on rewarding and enriching their students. 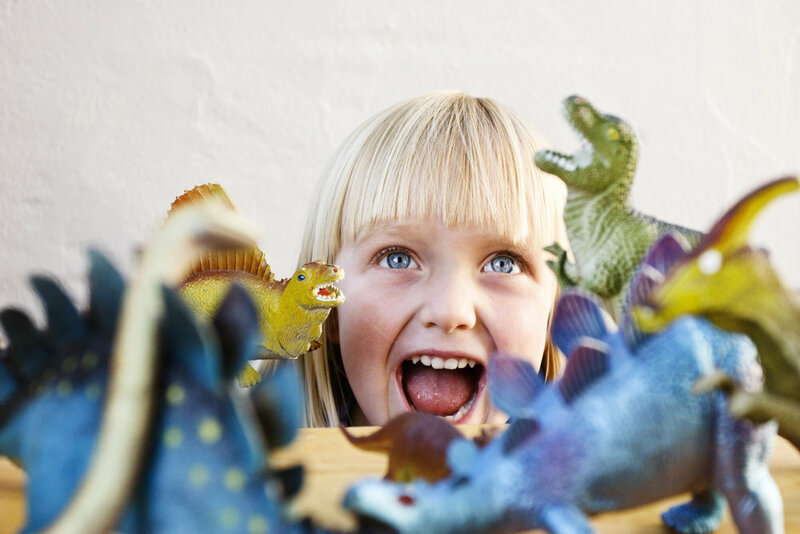 Dino Falls Adventure Golf offers the opportunity to see and learn about Dinosaurs and the prehistoric period in a way they won’t forget! We suggest it takes an hour and a half to play the course, depending on group size and ability! 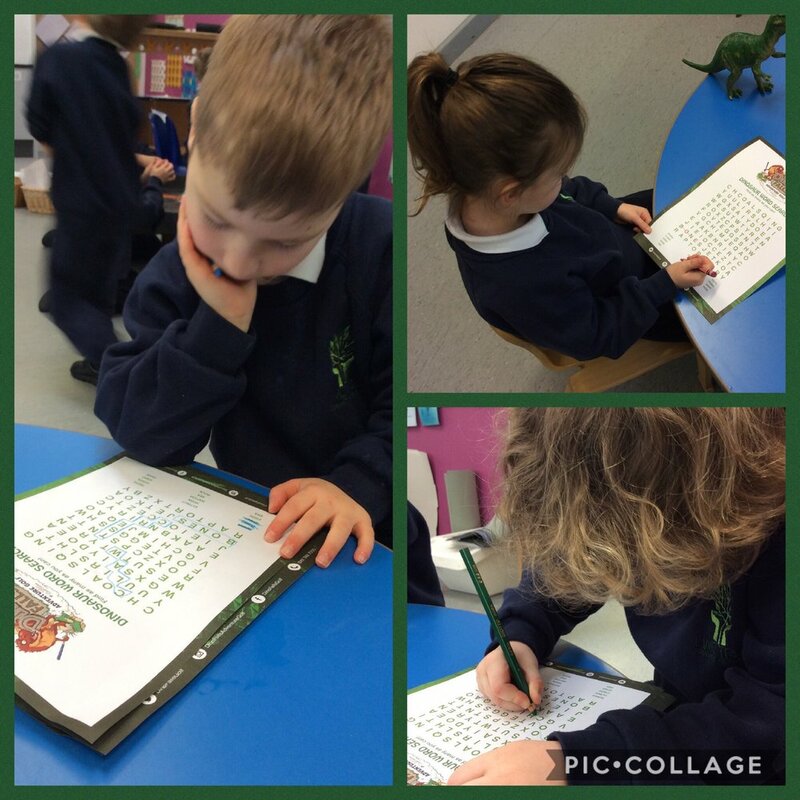 For a more educational focus:- After you’ve played 18 holes of Jurassic Themed Adventure Golf, we can offer you the use of our indoor or outdoor class room, our Dino Falls Activity book which is packed with info, games and quizzes. Plus we’ll also provide a DBS checked PGA Professional golfer who will act as your guide for the day they will provide support for you throughout your visit. We suggest you allow two and a half hours for this option. Everything from Option 2 plus have a go at real golf on our fantastic driving range, again we’ll provide everything you’ll need for this great activity including the coaching. No experience is required! 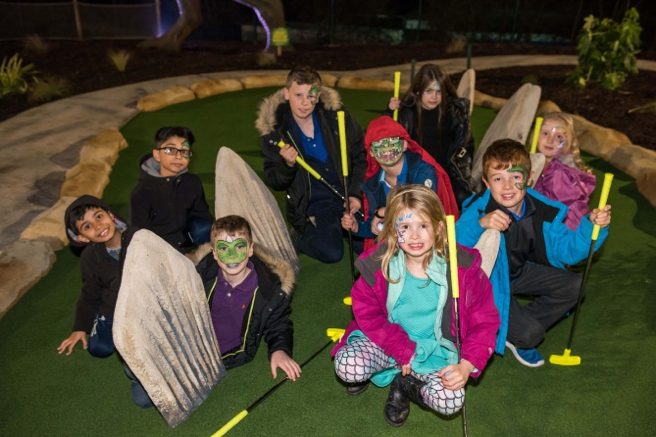 A day at Dino Falls Adventure Golf and Trafford Golf Centre will offer education and enrichment to all students; however we can further tailor your visit to your needs. 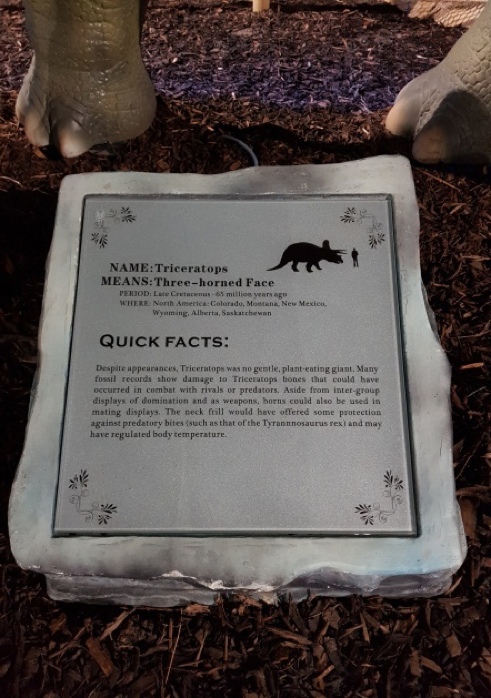 Our resident animatronic dinosaurs aren’t only incredible to look at but also offer a ‘Fact Plaque’ with information about each dinosaur to correspond with our fun packed activity book. Additional emphasis can be placed on many subjects including:- History, Art, Maths, Sports Coaching, Motor Skills, Team Work, Physical Education. Please ask to talk through your ideas with one of our Coaches. Please NOTE: this is an outdoor activity and appropriate clothing should be worn, ponchos are available if the Manchester weather decides to do its worst! Before you visit, please feel free to download our Mega Maths Score Card and Activity Book.